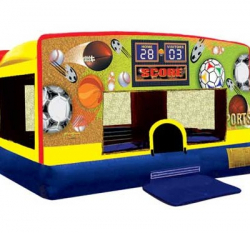 The mini bouncer has 4 different themes that you can choose from. They are all vinyl fronts. Pirate, Sports, Happy Birthday, and Red/White/Blue.